I’m in a phase to build my own VSAN home-brewed cluster. I’m using mostly consumer parts, but where I probably won’t, it’s the IO card. Because it’s the IO card which make the disks visible to VSAN. It’s the card which will affect your system’s stability and reliability, so even I’m planing for homelab, I want this system to be minimum stable. The VSAN IO cards taken from the HCL should assure the stability and reliability needed. I know that there is hundreds or perhaps thousands of those there and many options opens here. If the card has a RAID controller the controller has to support pass-through or “HBA mode”. 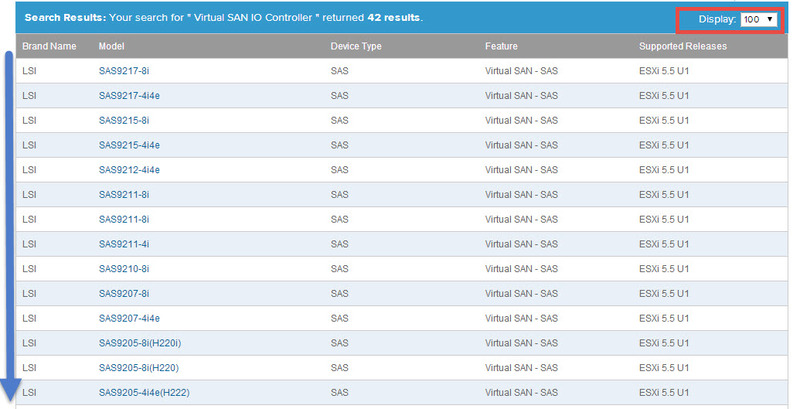 This is because the vSAN interacts directly with the hardware (the HDDs and SSDs). As I’m interested on some IO cards let’s see how to search. It’s a two step process. 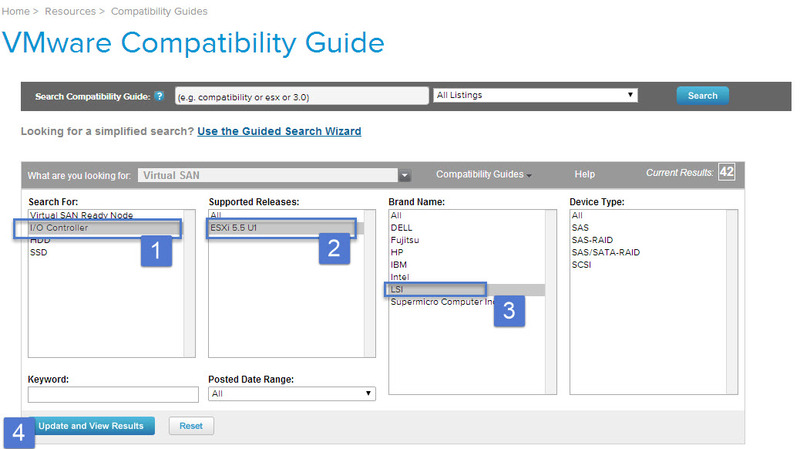 and select the IO controller (in my example I’m interested only the ones from LSI). 2. Click the button Update and view results. The default 10 results can be expanded to see more on the same page without scrolling. Then the result will looks like this. Note the possibility to bookmark or export as CSV. If you’re interested in the VSAN ready nodes, there are some but there isn’t many of them yet. Currently there is 8 nodes visible when you search the HCL page. 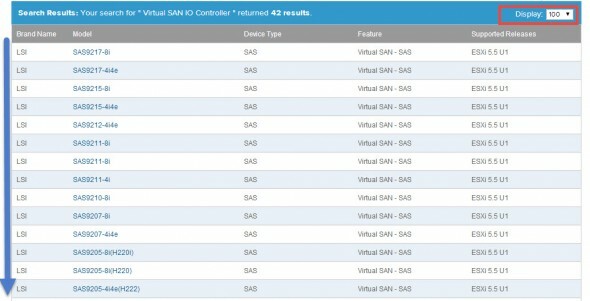 Are you planning to run VSAN homelab? You might want to share you thoughts on the IO card you are planning to use? I’m in a process to possibly get one three for my home lab, and the goal is to have reliable hardware without ruining myself… -:). Reliability at low cost. VSAN is great piece of technology which allows to use spinning disks (mixed with SSDs), installed as DAS, but configured easily in the way to create shared pool of storage visible to all hosts in the cluster. This was previously possible only via shared storage (NAS or SAN) or via VMware VSA (will be phased out). What I really like in VSAN is the linear scaling and extensibility. You need more storage? Add more disks to the disk group and expand the storage …. Need more compute power? Add another node to the cluster. Today VSAN offers scalability up to 32 nodes which is largely sufficient for most SMB scenarios. Update: Cormac Hogan talked about the supported IO cards also in this blog post at VMware vSphere blog. He mentioned few controllers which supports pass-through and why it’s recommended. VSAN uses magnetic disks as the persistent store for the data on the VSAN datastore and Flash as a performance acceleration layer – a read cache and write buffer – in front of the magnetic disks. All writes go to the flash layer, and all reads are first tried from the flash layer. This design obtains the lowest $/GB (using magnetic disks) and the lowest $/IOP (using Flash). While magnetic disk drives provides a low $/GB, they only support limited IOPs. VSAN directly manages the magnetic disks, published via the pass-thru controller, in a way that the limited IOPs on the magnetic disk are used in the most optimal way. To do so, VSAN implements a proximal IO algorithm. The proximal IO algorithm is used to de-stage writes from the Flash device that is “approximately” close to each other on the magnetic disk. This design addresses the “I/O blender” situation where sequential I/O from a VM can become random when multiple VM are doing I/O to the same disk. The VSAN proximal IO algorithm turns the random I/O from the I/O blender back into sequential I/O, thus improving performance. So after searching in and out through the cyberspace I finally took the option for Dell Perc H310 which can be found on eBay under $100/piece. hi. can I use vsan for my organizaztion? what is vsan advantage and disadvantage? I really confused! 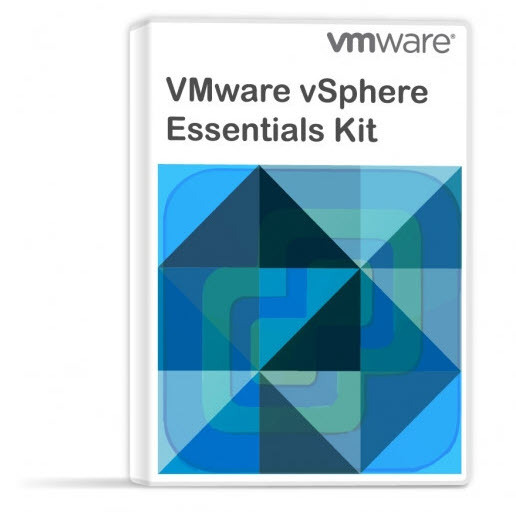 can i use vsan or not? please help me! can i trust vsan for big project?